For almost twenty years HENK LEONARD has specialized in handling employment litigation cases in both California and Federal courts. During this time, we have significantly benefited from the trust and confidence of other lawyers. Many of our referrals have come directly from opposing counsels after they have experienced our level of professionalism and dedication to our clients. We believe that we can assist law firms who have clients with employment law needs that they have determined are outside their expertise or comfort-level. We invite other law firms to visit our website at henkleonardlaw.com to see the types of cases we handle (e.g., discrimination, harassment, wage/hour, wrongful termination, and contract disputes), as well as the breadth of organizations we have litigated against (which includes both public and private entitles). 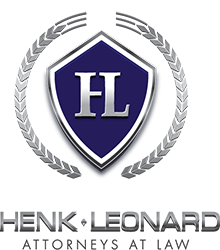 If you refer business to Henk Leonard you can expect that we will professionally and competently work with your referred client to assist them with their legal matter. We value your choosing us, and in return for your confidence we pay referral fees in accordance with the California Rule of Professional Conduct 2-200. We keep any referring organization regularly updated on the status of their referral, and all of our referral agreements are committed to writing after disclosure, explanation, and acceptance by the referred client.